Thousands of people in Colombia and abroad took to the streets to express their support for the country’s war crimes tribunal on Monday. Confronted with the deep social division, the marches failed to draw the huge crowds anticipated by the opposition, but succeeded in receiving support in countries like the United States, the United Kingdom and Germany where hundreds expressed their support for the Special Jurisdiction for Peace (JEP) and peace in general. 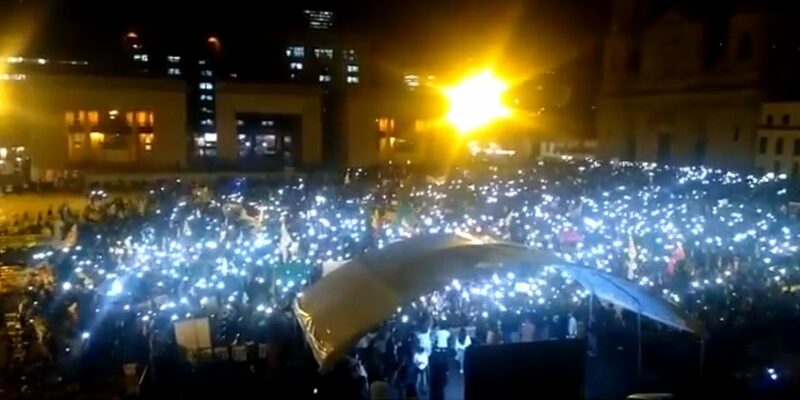 The marches were organized in response to Duque’s refusal to sign off on the statutory law that defined the powers of the JEP and returned the bill to congress defying the constitutional court that had already approved the bill. The controversial move deepened the divisions between supporters of former President Alvaro Uribe, who has been accused of multiple war crimes, and those who hope the peace process can end decades of armed conflict and political violence. The transitional justice system enjoys the support of the Constitutional Court, the United Nations and the European Union, but has been unable to create consensus in Colombian society where many are traumatized by the armed conflict. The JEP and the Truth Commission are supposed to provide justice to the country’s victims and provide some clarity on why a socio-political conflict degenerated into an armed conflict that left more than 8.5 million victims and continues to cause violence. But with an almost absolute impunity rate for crimes against humanity and many alleged war criminals still in positions of power, the transitional justice system faces fierce opposition, particularly by Duque and his party.